This diverse class uses The Present Word. Through the exploration of biblical text, adult study groups are invited into a deepened relationship with God. 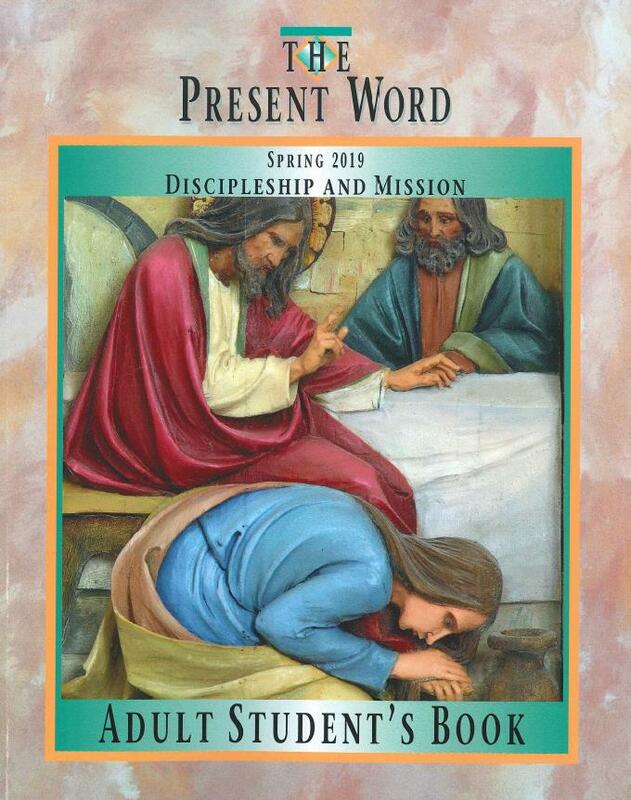 The Present Word engages participants in an experiential style of learning—connecting faith and life. The Present Word nurtures individual growth of the participants as children of God rooted in the Christian community, life in the Spirit and Christian hope. Discussion and activities encourage participants to live out their faith in their individual and congregational activities.. The lessons are ordered so that all the books of the Bible will be covered by the lessons in five years. 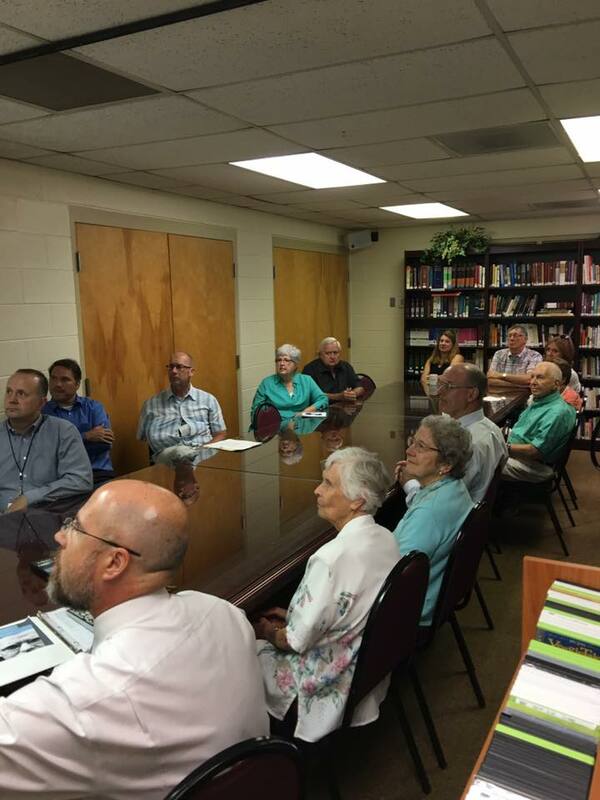 The class has a discussion format and everyone is invited to join us on Sunday mornings at 9:00 a.m. in Room A. This spring’s study looks at Discipleship and Mission. Various kinds of voices call to us. The problem is to find out which is the voice of God rather than the voice of society or self-interest. A good rule for finding out our vocation is this: The kind of work God usually calls us to is the kind of work (a) that we want to do and (b) that the world needs to have done. 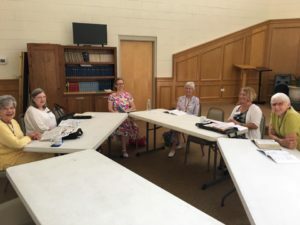 The name of this class is derived from the idea that we endeavor to strengthen our faith during our Sunday morning class in order to connect it to the remainder of the week. 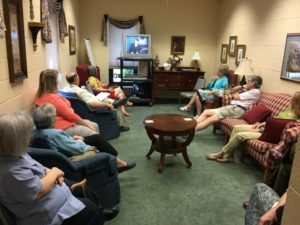 The class explores a wide range of topics which are biblical-based, incorporating a variety of books, DVDs, and tapes which are selected by the class. 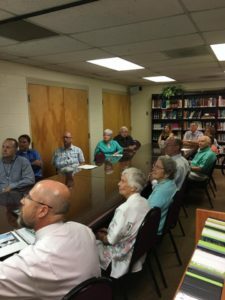 The format of this class is facilitated discussion, and members who wish, volunteer to lead the class for one or two consecutive Sundays. This interesting format allows for diverse teaching styles and introspection to the lesson. 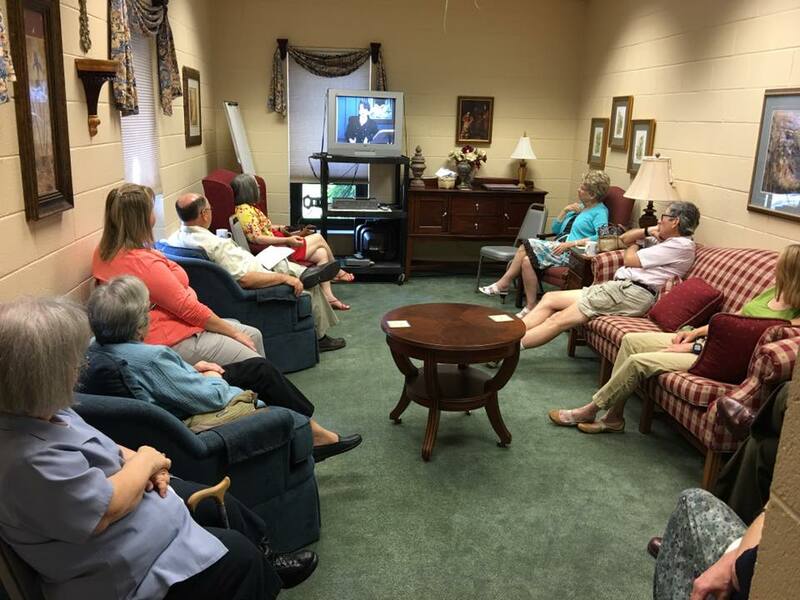 Class members bring a variety of experience from their own faith journey. Join us in the Parlor on Sundays at 9:00 a.m. Questions We Ask About Other Faiths by Adam Hamilton. Hamilton deals with questions so many of us have about four major world religions – Hinduism, Buddhism, Islam, and Judaism – and compares the beliefs of each with those of Christianity. In his trademark honest and open writing style, Hamilton helps answer questions such as: Why are there so many different religions? How should we view their beliefs? What is the fate of those who have these beliefs? Meets Sunday mornings at 9:45 a.m. in the library. We hope you can join us at the new “Topics Class” taught by Jenny Trussell. Bring your favorite caffeinated beverage, and drop-in to join a lively discussion about a different faith-based topic each week. No advance reading required – and feel free to arrive late, leave early, or simply attend as you are able. Contact Jenny Trussell for additional details.